Objective achieved. 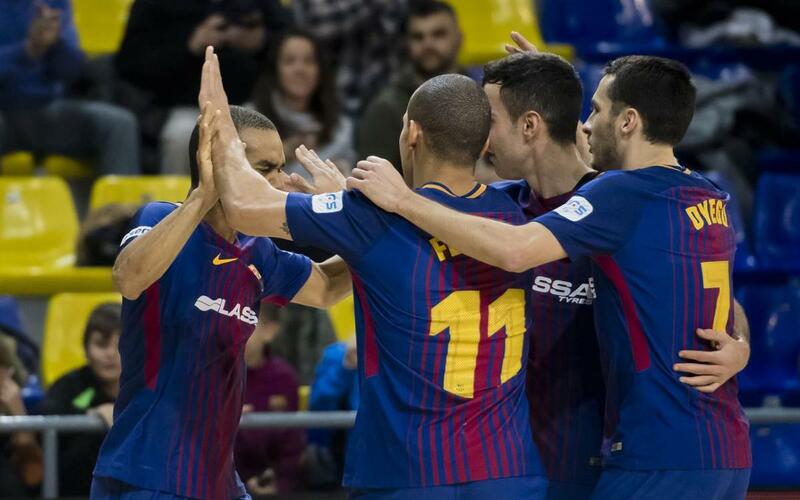 Barça Lassa have got back to winning wats with a 6-2 win at the Palau over O Parrulo. The visitors took the lead in the game but Andreu Plaza’s team fought back to lead 2-1 at the break and then extend their advantage in the second half. The visitors took just six minutes to find the net when O Parrulo’s Dani Montes gave them the lead. Barça were soon back on level terms with Ferrao providing the bullet for Leo Santana to strike. Another goal from Dyego allowed the home side to take the lead at half time. The second half saw Barça continue to get on top and Adolfo extended the lead to 3-1. Tolrà’s corner was turned in by Ferrao as the blaugranes took control. O Parrulo pulled one back to make it 4-2 but goals from Tolrà and Joao made the final score 6-2 in favour of Andreu Plaza’s team. The victory came in their final fixture before a break for international competition and leaves them in second place in the table, some five points behind leaders Movistar Inter.